Thank you for your interest in providing coverage of AlienXPO. We look forward to reviewing your request and have provided some guidance below outlining our requirements. 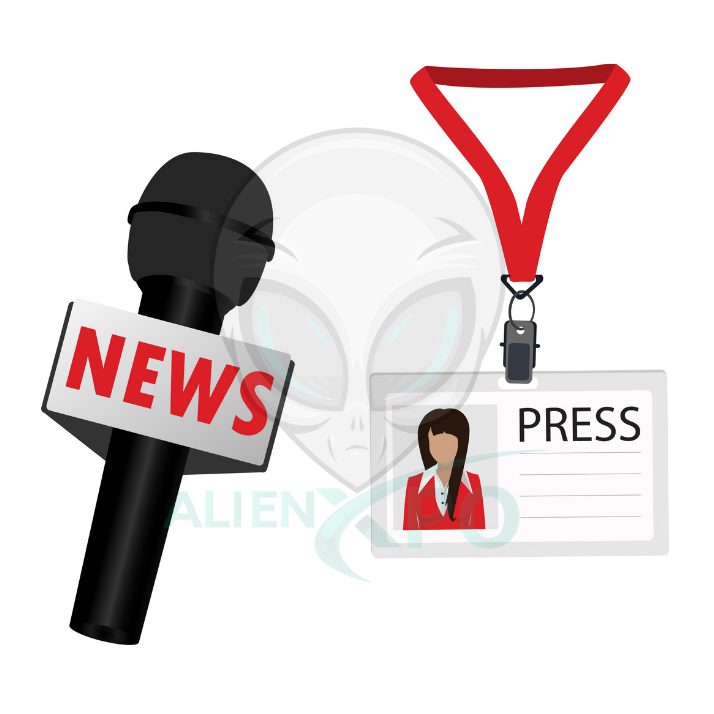 Press passes are provided to contributing writers or freelancers who have the required credentials and will be writing about the AlienXPO event. A press pass includes full event access both day during regular conference hours. All press personnel must be pre-qualified and pre-registered to attend. The credentials of members of the media arriving at a AlienXPO without pre-registering will be denied entry to the event. A press pass, available for pick-up onsite, will admit working media — free of charge — to all exhibits, keynotes, conference sessions, lunches, special events, and press-only events. Qualified members of the media may request a media pass to AlienXPO. You will be notified via email if your request is accepted, or if additional information is required. If you have any questions, feel free to use the contact form. Please review the requirements and click the button below to request a press pass. Be sure to include a sample of your press credentials with your submission. Bloggers requesting media registration must run or write for an established, independent site that is regularly updated with original and current news-related content. YouTube sites, Twitter pages, personal blogs, and forums will only be considered on a case by case basis. I understand that any press badge holder who sells, markets or represents a company or organization for the purpose of obtaining advertising or subscriptions from any conference attendee, sponsor, or exhibitor will immediately forfeit press credentials. I understand that media passes are provided are limited. Based on space considerations for AlienXPO, the right to limit the number of press badges issued to a single media organization.